Passion for all the foods. The older you get, the more people seem to dread, despise and passionately deny their birthdays. A marker of one year passed, one year older, one year closer to no more years. Which, from that perspective, is passionately depressing. But to me, birthdays are just that – days of birth. Without that day, there would be no you in the world, in the lives of people who couldn’t fathom that reality, who can’t imagine passing each day in their lives without you. It not about getting older – it’s about every person deserving a day to be celebrated. Delicious strawberry cheesecake leftovers, in their glory. Bake shells according to package directions. While they’re baking, slice your strawberries (thinly) and mix with 1 T sugar. Set aside. Whip your cream on high (stand or hand mixer) until you start to see peaks. Add cream cheese, honey and vanilla – whip until well mixed. It will be a pudding like consistency. Taste for sweetness – I like a little bite, so feel free to add more honey or sugar. Once your pastry is done, let it cool and Hollow out around the tops with a paring knife. That should leave you with a little well for the cream and berries. If your well isn’t deep enough, go ahead and dig in a little (gently) with your fingers and pull out a few more pastry layers. Drain strawberries with a colander. 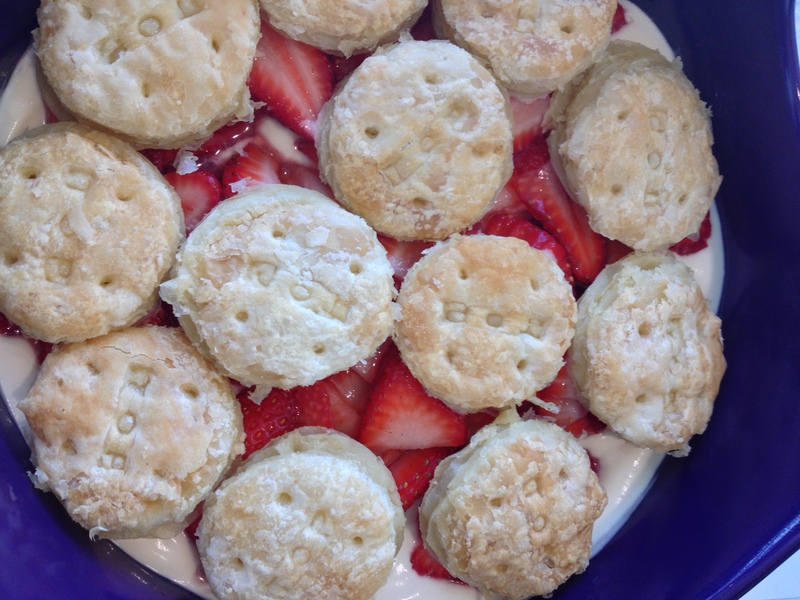 With the leftovers – spread leftover cream in the bottom of a 1.5-quart dish (or really anything about the size of an 8×8 pan.) 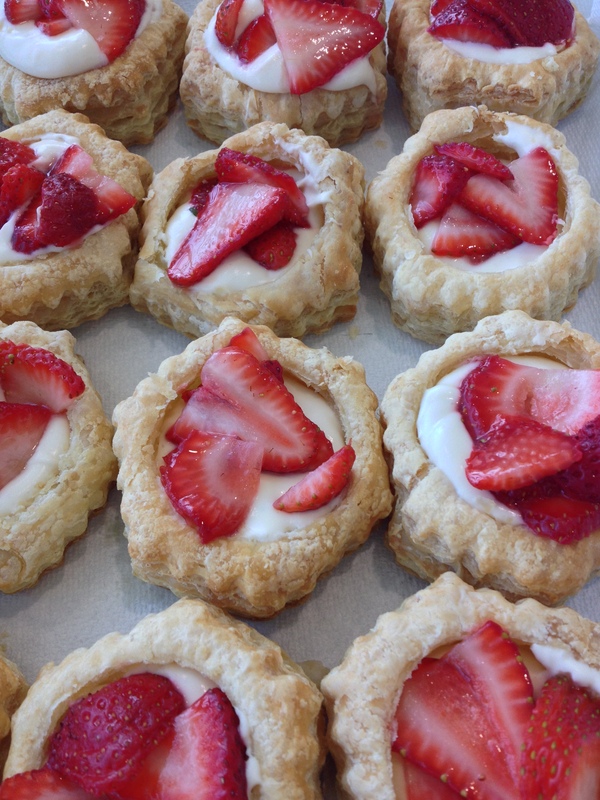 Top with strawberries, then with the pastry tops. Not as cute of a presentation, but I hate to waste those tasty tops!